1,Tap: Target 1/1 creature gets +1/+2 until end of turn. 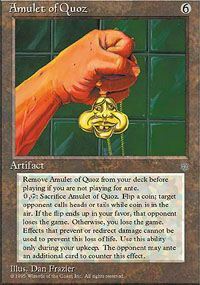 Tap,Sacrifice Amulet of Quoz: Target opponent may add the top card of his or her library to the ante. If he or she doesn't, you flip a coin. If you win the flip, that player loses the game. If you lose the flip, you lose the game. 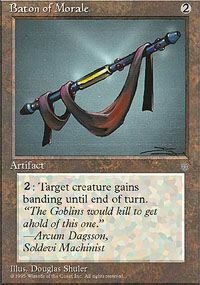 Play this ability only during your upkeep. 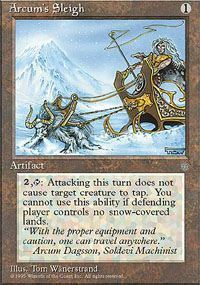 2,Tap: Until end of turn, attacking doesn't cause target creature to tap if defending player controls a snow-covered land. 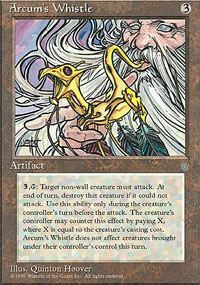 3,Tap: Target non-Wall creature's controller may pay that creature's converted mana cost. 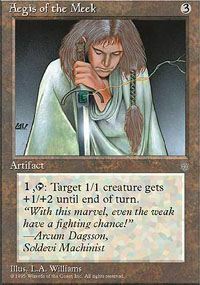 If he or she doesn't, the creature attacks this turn if able, and at end of turn, destroy it if it didn't attack. Play this ability only during the creature's controller's turn before attackers are declared. 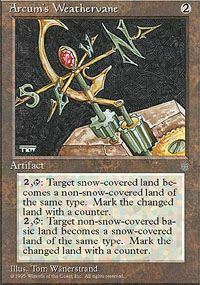 You can't target a creature that came under its controller's control this turn. 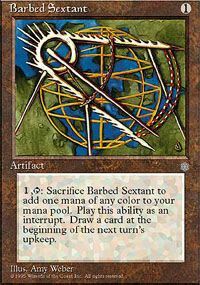 1,Tap,Sacrifice Barbed Sextant: Add one mana of any color to your mana pool. 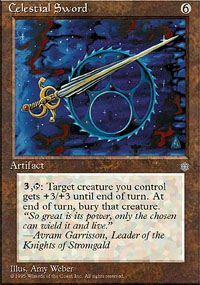 Draw a card at the beginning of the next turn's upkeep. 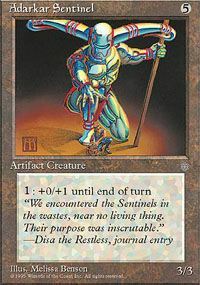 2: Target creature gains banding until end of turn. 3,Tap: Target creature you control gets +3/+3 until end of turn. Destroy it at end of turn. A creature destroyed this way can't be regenerated. 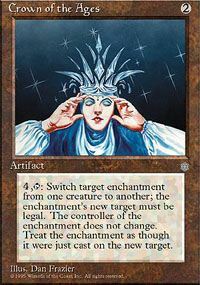 4,Tap: Move target enchantment enchanting a creature to another creature.